We are excited to announce the newest addition to the POS Tech team, Travis Hille! Travis is now managing our support team and will be focusing on making sure that all of our customers receive the highest level of support. He has extensive Aloha experience and was instrumental in the design and rollout of the cutting-edge Aloha Online Ordering and Aloha Takeout system at Café Rio. He is now bringing his skills and attention to detail to POS Technologies and we are already seeing great things from him in the short time he has been on board. 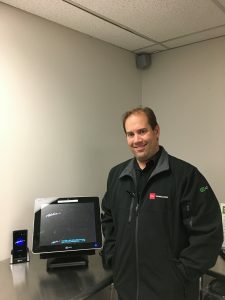 Please join us in welcoming Travis to POS Technologies.